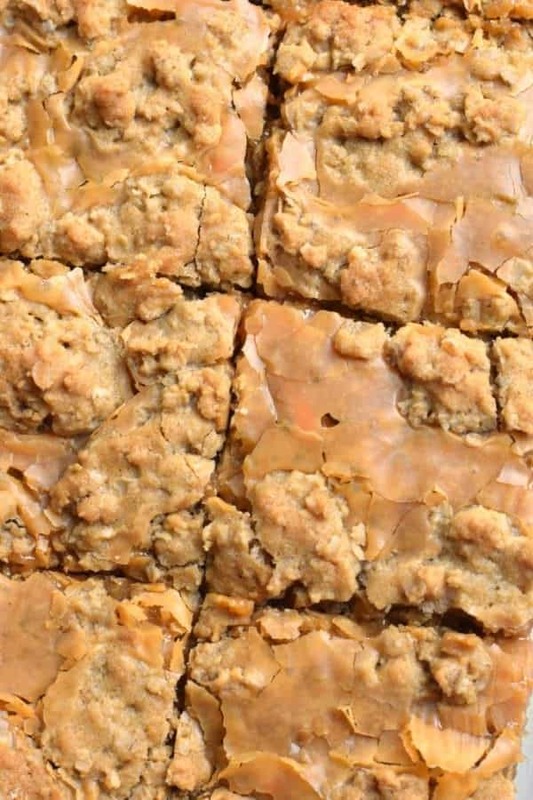 Chewy and sweet, these Butterscotch Revel Bars are a wonderful dessert to make for your next potluck, bake sale or party. They are also a great treat to bake and freeze for school lunches! I interrupt this zucchini festival to bring you a delicious cookie bar. I mean, really, we can’t live only on zucchini. 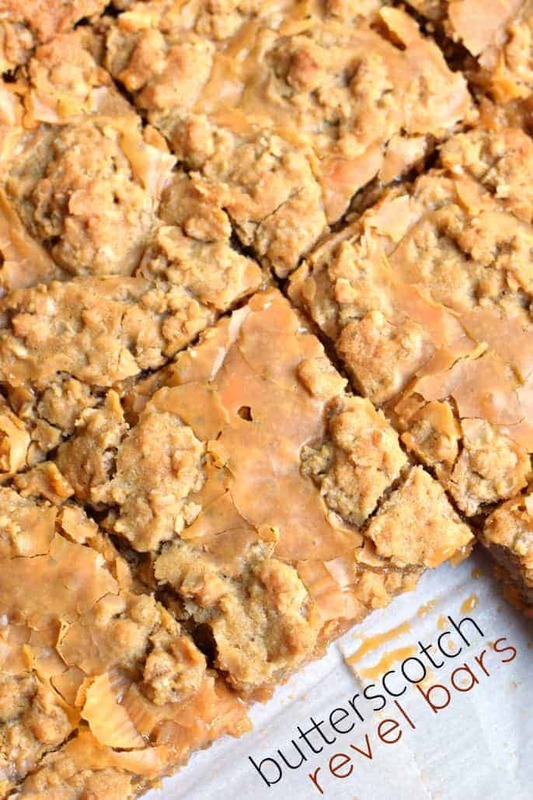 There’s got to be butterscotch in our lives too! A few years back I made these Triple Chip Revel Bars. I forgot how amazing they were. As I was sharing them on pinterest, it occurred to me, I should totally give them a butterscotch makeover. Using that recipe as a base, I swapped out the fudgy chocolate center and instead gave it a sweet butterscotch filling. Want to know the secret to make these taste even more amazing? PUT THEM IN THE REFRIGERATOR after baking. Seriously. I love all my butterscotch treats cold. There is something about chilling it that brings out the flavor. So, enjoy today’s break from zucchini, as I’ll be back next week with more desserts featuring that crazy veggie! In a large bowl, beat 14 Tbsp of butter (reserving the extra two for later), and brown sugar until well blended. Add in baking soda, eggs and vanilla extract. Beat until combined. Add flour and oats and mix until blended. Set aside. In a small saucepan, combine sweetened condensed milk and 2 Tbsp butter. Heat over low heat until butter is melted. Fold in butterscotch morsels and stir constantly until melted and smooth. Press 2/3 of cookie dough into bottom of baking sheet. Keep pressing with your fingertips, it will fit, honest!! Pour butterscotch mixture over top of cookie dough and spread evenly. Drop remaining dough by teaspoon over the top (will not cover completely, that's okay). 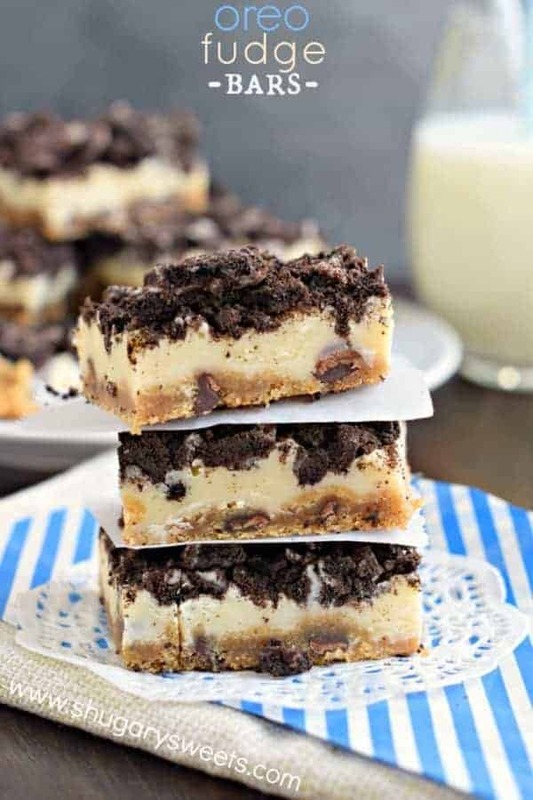 From the chocolate chip cookie dough crust to the white chocolate fudge and Oreo topping, these Oreo Fudge Bars are amazing! 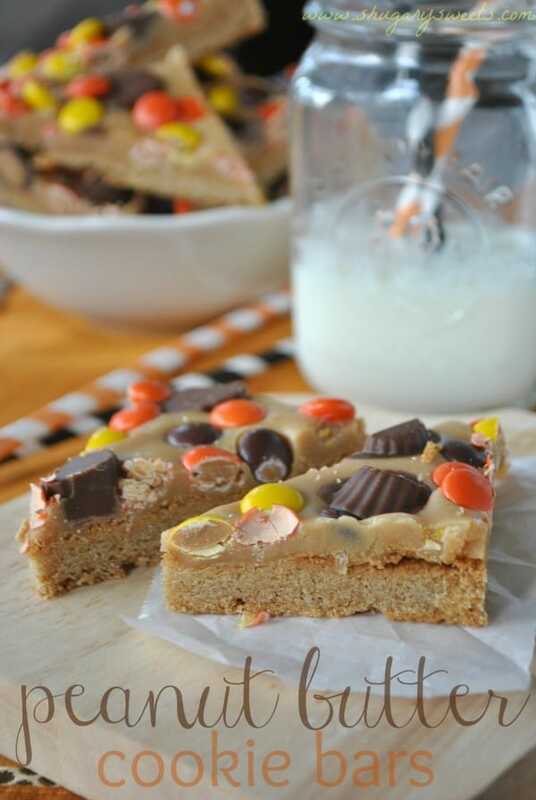 Whopper Cookie Bars: seriously easy and amazing…these malted cookie bars are awesome! 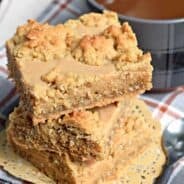 With three times the peanut butter flavor, these Peanut Butter Cookie Bars are not for the faint of heart! These are amazing. I keep picturing that butterscotch center! It’s so brilliant! And thanks so much for the love on my cookie bars! Yum! Looks sweet and delicious! The recipe calls for 1 cup butter, the directions only use 12 T. Doesn’t 1 cup have 16 T…..just wondering before I start baking. Yes! I’m sorry, it’s 14Tbsp and 2 Tbsp. It’s a 15x10x1-inch baking sheet! Hi Aimee! These sound wonderful, and I’m looking forward to trying them. I’m assuming you mean to beat 14 T of the butter with the brown sugar, etc. and then use the remaining 2 T of butter melted with the sweetened condensed milk and butterscotch morsels. My question is about pan size — I love a thicker bar. Could you use a 13″x 9″ pan and increase the baking time? 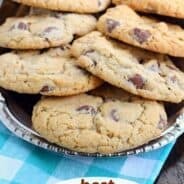 Would the oven temp need to be adjusted? Don’t know if you’ve tried a variation like this, but I look forward to your reply. I LOVE the recipes you share. They’re always delicious. Thank you. I was wondering about the butter. The 10 T and 2 T doesn’t add up to a cup. These look delicious. 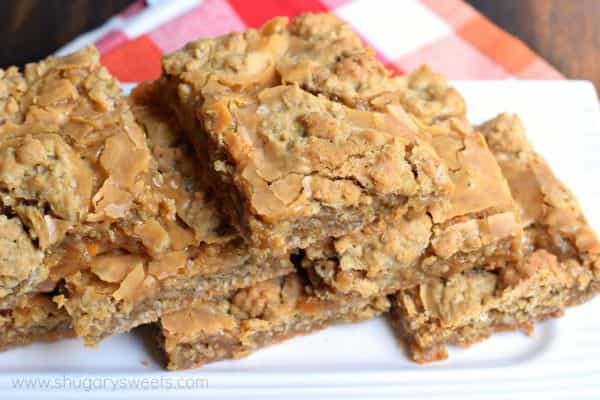 I was making these Butterscotch revel bars when I discovered that no where in the recipe did it say to add the eggs . 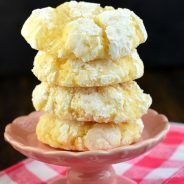 Luckily I am an accomplished baker and realized they weren’t in the directions at all .Please have someone add them to the directions or you will have someone very disgusted with this recipe . Thanks I will let you know how mine turn out. 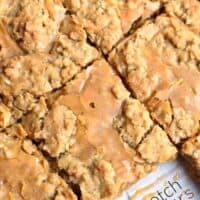 No eggs in directions for butterscotch revel bars .. Please add them or someone will be very disappointed . After letting the bars cool completely they ended up being extremely runny. I followed the recipe to a T. They still taste delicious!